THIS BEAUTIFUL TWO-STORY TRADITIONAL, OFFERS A DOWNSTAIRS MASTER, AND A CONVENIENT, OPEN, EAT IN KITCHEN WITH CATHEDRAL CELINGS. SPACIOUS GARAGE, ACCOMMODATES A VEHICLE AND WORKSPACE. LOTS OF OPTIONS, IN A CONVENIENT LOCATION. Ready to visit 285 Buttercup? Request a free property tour! Send me more information about the listing at 285 Buttercup, Newport News, VA 23602, MLS# 10240031. 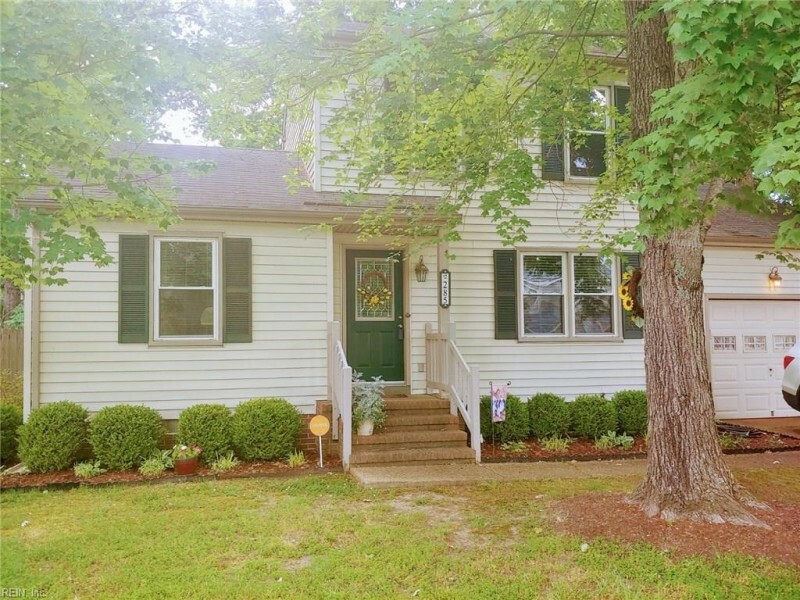 This 3 bedroom, 2 bathroom home located at 285 Buttercup, Newport News, VA 23602 has approximately 1,545 square feet. It is currently listed for $230,000 and has a price per sqft of $14,887. This home is currently Active under the MLS#: 10240031. This listing is provided by Abbitt Realty Company LLC. 285 Buttercup Lane, Newport News was built in 1991. It has Garage Att 1 Car parking.The kitchen includes 220 V Elec, Dishwasher, Disposal, Dryer Hookup, Microwave, Range, Elec Range, Refrigerator, Washer Hookup. 285 Buttercup is part of the Buttercup Meadows neighborhood located in 23602.